By early morning on 27 June 1905, Brand’s Hall in Chicago was filled with tobacco smoke and people. More than two hundred delegates had shown up in response to the January manifesto. With this speech the Industrial Workers of the World came into being. It was created to do what the AFL could not, or would not, do: organize unskilled, immigrant workers to fight not just for “more, more, more,” but for a revolution that would destroy capitalism and the state. The radicalism of the IWW was different from that of its contemporaries, the Socialist Party and the Socialist Labor Party. These parties had come to see the state as the potential liberator of the working class, and believed that the fundamental contradiction of capitalism was its inability to produce and distribute goods fairly and efficiently. Consequently, they believed that the task of the socialists was to take over the state in order to control production and distribution. The IWW agreed that capitalism was a tyrannical, oppressive way to organize production and distribution. Capitalism meant a handful of people who did little real work reaped the rewards of great wealth, power, and prestige, while those who actually produced society’s goods and services were often unable to provide themselves with even basic necessities. Berger imagines that Socialism can be attained by a nation operating the industries within its artificial boundaries. . . . There is no trust nor industry that is confined in one nation, and control of industry, therefore, must finally rest with producers regardless of border lines. In place of “Let the nation own the trusts,” it must be “Let the producers control the industries.” The first is the slavery of State Socialism; the second is Industrial Freedom. . . . Are we to believe that the State, the mailed fist of the master, based upon exploitation and having as its sole purpose the conserving of property rights . . . can be of value to the workers merely by changing its personnel? . . . It is small consolation to have the State deprive the workers of industrial liberty in return for the privilege of owning and managing their own toothbrushes. Should Berger’s ideal become a reality it must of necessity contain within itself the germ of another revolution. A rebellious working class would rapidly cause such a germ to mature and burst open State Socialism so as to liberate the proletariat. But let us hope we can gain freedom without the necessity of a second revolution by avoiding the pitfalls of the politicians’ dream – State Socialism. The IWW is a revolutionary labor movement, industrial in its form, direct in its methods, and open in avowing its ultimate purpose of overthrowing the wage system. While better immediate conditions are fought for, they are merely incidental to the main object of building an organization that will serve to batter on the institutions of capitalism and to form the basis of production in the new social order. The IWW can never afford to gain in membership at the cost of sacrificed principles, or by appealing to the workers from the standpoint of immediate material benefits alone. The IWW did no avoid conventional trade union practice through oversight. Each of these measures, it argued, had a harmful aspect. Signing contracts meant formal acceptance of the employers’ legal right to the factory and production, a principle the IWW denied. Contracts limited the right to strike during the agreement, but they did not limit the employers’ ability to prepare for strikes through stockpiling, speed-ups, and lay-offs. At the same time, actions by the workers to resist stockpiling and speed-ups, or to hamper production in order to strengthen the union’s position, were illegal. The contract was a peace treaty in the class war, but its terms disarmed only the working class. Similarly, the IWW argued that the dues check-off stripped the workers of autonomy and responsibility for their own affairs. As one Wobbly put it, the union “expected grown-up men to be big enough to pay their own dues without a check-off.”15 Automatic check-offs also tended to separate the union from its members, for the job steward was able to avoid the task of going to each worker and collecting complaints and suggestions along with the dues. The gist of my talk was the same as in Buffalo, but the form was different. It was a sarcastic arraignment, not of the system or of the capitalist, but of the workers themselves – their readiness to give up a great future for some small temporary gains. . . .
A man in the front row who had attracted my attention by his white hair and lean, haggard face rose to speak. He said that he understood my impatience with such small demands as a few hours less a day, or a few dollars more a week. It was legitimate for young people to take time lightly. But what were men of his age to do? They were not likely to live to see the ultimate overthrow of the capitalist system. Were they also to forgo the release of perhaps two hours a day from the hated work? That was all they could hope to see realized in their lifetime. Should they deny themselves even that small achievement? Should they never have a little more time for reading or being out in the open? Why not be fair to those chained to the block? Combining unionism and revolutionary work, then, made a great deal of tactical sense. Equally important, it illustrates the commitment the IWW had to being a working class organization that represented workers as they were, while educating them to what they could become. Ignoring the day-to-day struggles would set the union apart from its members; the union would become another millenarian scheme, even another boss. But Dubofsky’s use of western exceptionalism, or the belief that geography and location explain radicalism, leaves much to be explained. Radicalism in this period was not confined to the west, and such an explanation is especially difficult to apply to the IWW. Many of the delegates to the founding convention came from the eastern United States; half of the Canadian delegates came from Montreal. The first General Secretary-Treasurer of the union, William Trautman, was from Cincinnati.22 And the IWW fought several of its most important battles in the east: Lawrence, Paterson, McKees Rocks, and Akron are only a few of the major eastern strikes that undermine western exceptionalism as an explanation for the IWW. Dubofsky’s framework of industrialization, corporatization, and technological change is also inadequate. Industrialization and technological change were hardly unique to the late nineteenth and early twentieth centuries. Indeed, the substitution of machine labour for human labour is an essential part of industrial capitalism, for making labour more productive through changes in the work process squeezes more profit out of the workers.23 Why would this process suddenly push workers towards syndicalism in 1905? Pure and simple industrial unions would provide the stronger framework needed to fight the same battles against stronger employers. They might even be better equipped to protect their members than a radical organization, as Foner implies. The logical response to bad conditions or abuses is reform, not revolution; the desire for revolution surely suggests deep dissatisfaction with fundamental aspects of society. The IWW insisted on a radical transformation of society, and a very specific transformation at that. This is precisely the point Dubofsky does not adequately explain, Conlin seeks to ignore, and Foner, who is more sympathetic to the Communist movement, attempts to denigrate. The primary question for the historian of the IWW then becomes, what prompted this specific drive for workers’ control? It is fair, if not too helpful, to argue that capitalism in any form carries with it all that is necessary to create all types of resistance. And the IWW was the third mass movement in thirty years to challenge industrial capitalism in America, as it followed in the wake of Populism and the Knights of Labor. But the radicalism of the Industrial Workers of the World was different from that of the Populists and the Knights: it reflected the changes in the nature of capital and the lessons learned from the victories and defeats of those movements. Organized labour reacted to this threat in two ways. Many of the conservative leaders of the American Federation of Labor and the Canadian Trades and Labor Congress simply chose to retrench. Narrow battles to retain craft control were fought, as unions tried to protect their dwindling memberships from de-skilling and unemployment. Unskilled and immigrant workers were often viewed with alarm as competitors instead of potential allies, and a number of methods were used to keep them out of craft unions. Samuel Gompers himself symbolized and led a move away from any sort of radicalism or socialism. He moved the AFL towards a new respectability by co-operating with employers and refusing to fight for any demands save higher wages. This was an acceptance of the ground rules set by capitalism, for it meant workers could not challenge the employers’ self-proclaimed right to ownership and control of the workplace. But another response developed as well. Rank and file AFT-TLC members, immigrants, women, the de-skilled, the unskilled – in short, those unable to find comfortable niches in craft union constituencies – often turned to radicalism and industrial unionism. As the economic power of the new monopoly capitalists increased, so too did their political power. Increasingly, their voices were heard in the halls of government, their priorities and needs taken up by government officials. Despite public outrage at the trusts, the cartels, and the price-fixing that represented monopoly capitalism, successive governments in Canada and the United States did little to reduce the power of corporations. Though leaders such as Theodore Roosevelt and William Lyon Mackenzie King mouthed concern over the excesses of the trusts, they did virtually nothing to rein them in. It soon became clear that political action could not address the problem, for the governments responded to the lobbying of the powerful. In the United States, the Populist movement was utterly unable to force the state to defend farmers from the corporate giants. The Knights of Labor, despite their successes in focusing working class opposition and creating a strong working class culture, achieved little in the political arena. Despite their intense lobbying, neither the American Federation of Labor nor the Canadian Trades and Labor Congress had much influence on the governments of the day. Bill Haywood underscored the futility of labour’s political efforts at the IWW’s founding convention when he asked sarcastically, “If the American Federation of Labor spends $5,000 a year maintaining a legislative lobby and gets through absolutely none of the measures that they advocate, how long will it take the American Federation of Labor to bring the working class to the full product of its toil?” In contrast, he observed, the revolutionary industrial unionism of the Western Federation of Miners had “established in nearly all the cities through the west and the entire province of British Columbia the eight-hour day, and we did not have a legislative lobby to accomplish it.”29 Though Haywood seriously understated the state of affairs in B.C., where political lobbying had in fact resulted in an eight-hour law for miners, his comments reflected a growing perception that little could be gained by petitioning or electing a government. Workers throughout North America could point to any number of strikes and protests that had been settled by the bayonets and rifles of the government. And if Haywood had mis-stated the situation in B.C., it was still true that the Western Federation of Miners had turned to radicalism and direct action because its political efforts had largely failed. Thus the skilled workers, through high initiation fees and apprenticeships, kept most workers out of the unions. This tended to make skilled labour scarcer, and enabled the unions to demand a higher price for their work. But it also doomed the mass of workers to increased exploitation; in effect, they subsidized the unionized workers with their lower wages. It is, therefore, the confluence of several trends that explains the creation of the IWW in 1905. The AFL-TLC craft union structure was too weak to counter the new assaults of monopoly capitalism: only by uniting workers by industry could resistance be made effective. The base of the labour movement had to be expanded by organizing the unorganized and those thought unorganizable, not shrunk by excluding them and concentrating on a smaller number of craft veterans. Real changes, it appeared, could not be made through bargaining with the employers or lobbying the state; revolution was the only way to break their allied power. And since a mass movement was needed, radical groups had to seek a mass following among the working class or be doomed to impotence. If capital wanted to reduce the economic and political power of workers, it had to be opposed with complete political and economic democracy. Despite the specific grievances which triggered specific strikes, the explicit syndicalism of the IWW was caused by the advent of monopoly capital, the accompanying attack on labour, and the need felt for new forms of organization and new strategies. The founders of the IWW viewed their North American form of syndicalism as the logical response to the new assault of capital. It is in a sense irrelevant to ask if a single railway navvy along the Fraser River joined the IWW in response to the de-skilling of his job. Probably only a small number of those who supported and joined the union did so because of a commitment to syndicalism and a carefully reasoned critique of monopoly capitalism. Workers joined the IWW because it was there. But the union was there because its founders were aware of the dangerous, autocratic power of capital and the state. The IWW was formed to combat the “Prussian” method of organizing production, even if workers often joined it for the same reason they continue to join unions: to fight immediate battles to improve conditions. 1. Melvyn Dubofsky, We Shall Be All: A History of the Industrial Workers of the World. New York: Quadrangle/The New York Times Book Company, 1969, pp. 74-76; Paul Brissenden, The IWW: A Study of American Syndicalism. 1919. Reprint. New York: Russell and Russell Inc. 1957, pp. 59-67. 2. The Founding Convention of the Industrial Workers of the World, Proceedings. 1905. Reprint. New York: Merit Publishers, 1969, pp. 1-6. 3. William D. Haywood, Bill Haywood’s Book: The Autobiography of William D. Haywood. 1929. Reprint. New York: International Publishers, 1977, p. 181; Founding Convention, p. 1; Ray Ginger, The Bedning Cross: A Biography of Eugene V. Debs. New Brunswick: Rutgers University Press, 1949, p. 238. 4. Larry Peterson, “The One Big Union in International Perspective: Revolutionary Industrial Unionism, 1900-1925,” Labour/Le Travailleur 7 (Spring 1981) pp. 41-66, gives a helpful definition of syndicalism. Briefly, its tenets are an emphasis on decentralization; opposition to political parties and parliamentary politics; advocacy of the general strike as the means to the revolution; a vision of a new society as a federation of economic organizations based on the structure of craft and industry. See Dubofsky, pp. 166-170, for a similar appraisal. See also Philip Foner, The History of the Labor Movement in the United States, Volume 4, The Industrial Workers of the World, 1905-1917. New York, International Publishers, 1965, pp. 20-23. 5. The quote on industries taking the place of the state is cited in Dubofsky, p. 167. The attack on state socialism is in the Industrial Worker (hereafter IW), 19 June 1913; Brissenden, pp. 368-369. 6. Haywood cited in Joyce L. Kornbluh, ed., Rebel Voices: An IWW Anthology. 1964. Reprint. Ann Arbor: University of Michigan Press, 1972, p. 36. It is important to understand just what the IWW meant by direct action. Many critics have claimed that in rejecting political action, the IWW believed that the state was irrelevant. This is not true, as the preceding quotes indicate. The IWW was not apolitical, for wanting to smash the state is a very political program. It is not a parliamentary political program, and this is the important distinction. It is true that Wobblies held electoral politics in disdain, but they were all too aware of the necessity of destroying the state if workers were to be free. By direct action, the union meant action that workers did themselves without the mediation of the state, politicians, or political parties. This meant directing the efforts of workers to the workplace. Direct action could take many forms: strikes, slow-downs, sabotage, indeed anything that workers could apply themselves – directly – to attack the system. 7. Haywood cited in Kornbluh, pp. 44-51. 8. Andre Tridon, The New Unionism, cited in Kornbluh, p. 36. 9. Joseph R. Conlin, Bread an Roses Too: Studies of the Wobblies. Westport: Greenwood Press, 1969, p. 82. For a critique of Conlin, see William Preston, “Shall This Be All? U.S. Historians Versus William D. Haywood, et al.,” Labor History, Volume 12 Number 3 (Spring 1971). Peterson, following Conlin, holds that the IWW was not syndicalist; like Conlin, he is wrong. He is quite correct, however, to insist that the Canadian One Big Union was not a syndicalist organization. Readers should not confuse the Canadian OBU with the IWW’s reference to itself as the “One Big Union.” The Canadian OBU was formed in 1919, and its leaders explicitly rejected the ideology of the IWW. 10. Founding Convention, p. 7. In attempting to make the IWW into a pure and simple industrial union, Conlin misinterprets a number of ideas. He insists that the French model of syndicalism, based on craft unions and committed to a policy of “boring from within” the conservative unions, is the definitive one. Insofar as the IWW deviated from the French model, Conlin holds that it was not syndicalist. As proof, he cites William Foster’s Syndicalist League, which did try to infiltrate the AFL and work within it. Unfortunately for Conlin, Foster himself argued that both the IWW and the League were syndicalist, and he held that the difference was only one of tactics. 11. Conlin, p. 90. This argument may also obscure some very real differences between AFL leaders and the rank and file. David Montgomery has argued, if a little too optimistically, that the IWW in fact represented part of a swing towards radicalism among many workers in this period. See David Montgomery, Workers’ Control in America: Studies in the History of Work, Technology, and Labor Struggles. 1979. Reprint. Cambridge: Cambridge University Press, 1984, and The Fall of the House of Labor: The Workplace, the State, and American Labor Activism, 1865-1925. Cambridge: Cambridge University Press, 1987. 12. IW, 22 May 1913. 13. Foner, The IWW, pp. 470-472. 14. See Dubofsky, pp. 164-165; Foner, The IWW, pp. 378, 470-472; John G. Brooks, American Syndicalism: The IWW. 1913. Reprint. New York: Arno and The New York Times, 1969, pp. 87-88, 130; Barbara Garson, All the Livelong Day: The Meaning and Demeaning of Routine Work. New York: Doubleday, 1975. Reprint. Middlesex: Penguin Books, 1977, pp. 74-75; Founding Convention, pp. 111-112, 577, 589; Brissenden, pp. 85-86. 15. Cited in Frederick W. Thompson and Patrick Murfin, The IWW: Its First Seventy Years, 1905-1975. Chicago: The Industrial Workers of the World, 1976, p. 154. 16. Founding Convention, pp. 125, 278-279, 576; Foner, The IWW, p. 121; Dubofsky, pp. 7-8, 71-73, 86-87. Foner, The IWW, p. 471; Dubofsky, p. 150. For a contemporary attack on the policy of attracting workers to unions by offering them a “deal,” see Eric Mann, “Unions Absent on Sunday Are Dead on Monday,” New York Times, 1 September 1986, p. 15. Note especially the new twist of offering low-interest credit cards. Founding Convention, pp. 117-118. 17. Joseph Ettor, Proceedings of the Tenth Convention of the IWW, cited in Foner, The IWW, pp. 471-472. 18. Founding Convention, pp. 117-118. 19. Philip Foner, History of the Labor Movement in the United States, Volume 2, From the Founding of the AF of L to the Emergence of American Imperialism. New York: International Publishers, 1964, pp. 389-390, 398-401; Foner, Volume 3, The Policies and Practices of the AF of L, 1900-1909. New York: International Publishers, 1964, p. 27; Paul Buhle, Marxism in the USA from 1870 to the Present Day. London: Verso, 1987, pp. 49-57. DeLeon is quoted from the Founding Convention, p. 151. 20. Emma Goldman, Living My Life. Reprint. 1931. New York: Dover Publications, 1970, Volume 1, p. 52. 21. Dubofsky, pp. 19-36; the quote is from p. 23. 22. Founding Convention, pp. 22-24, 538, 595-597. 26. An extensive literature examines the rise and impact of monopoly capitalism. Some books that are especially useful are James Livingstone, Origins of the Federal Reserve System: Money, Class, and Corporate Capitalism, 1890-1913. Ithaca: Cornell University Press, 1983; Allen Trachtenberg, The Incorporation of America: Culture and Society in the Guilded Age. New York: Hill and Wang, 1982; James Weinstein, The Corporate Ideal in the Liberal State, 1900-1918. Boston: Beacon Press, 1968; David Noble, America by Design: Science, Technology, and the Rise of Corporate Capitalism. New York: Knopf, 1977. For Canada, the following are useful: Tom Traves, The State and Enterprise. Toronto: University of Toronto Press, 1979; Alvin Finkel, Business and Social Reform in the Thirties. Toronto: Lorimer, 1979; Paul Craven, “An Impartial Umpire”: Industrial Relations and the Canadian State, 1900-1911. Toronto: University of Toronto Press, 1980. 27. See Montgomery, Workers’ Control and Fall of the House of Labor; Braverman; G.S. Kealey, Toronto Workers Respond to Industrial Capitalism, 1867-1892. Toronto: University of Toronto Press, 1980. See pp. 53-54 for “Blue Monday”. Many of the essays in Craig Heron and Robert Storey, eds., On the Job: Confronting the Labour Process in Canada. Kingston and Montreal: McGill-Queen’s University Press, 1986, discuss workers’ control. Frederick W. Taylor, “The Principles of Scientific Management,” in Scientific Management. 1911. Reprint. Westport: Greenwood Press, 1972, pp. 32-33. For a more detailed analysis of this process and its implications, see Braverman, especially pp. 3-139; Taylor, “Principles,” pp. 36-37; Taylor, “Shop Management,” in Scientific Management, p. 146. 28. For the drive system, see David Gordon, Richard Edwards and Michael Reich, Segmented Work, Divided Workers: The Historical Transformation of Labor in the United States. Cambridge: Cambridge University Press, 1982, pp. 128-135. Brissenden, p. 20. See Preston for a similar observation. For descriptions of the measures taken to intensify work and break unions, see Foner, The AFL, 1900-1909, especially chapter 2 and 7; Montgomery, Workers’ Control in America, pp. 32-47, 91-112; Montgomery, Fall of the House of Labor; Braverman, especially part 1. See Robert Wiebe, The Search for Order, 1877-1920. New York: Hill and Wang, 1967, pp. 133-163, for the “revolution in values” that urbanization and industrialization spawned and that helped to establish a social context for the changes in industry. For similar analyses in the Canadian context, see Bryan D. Palmer, Working-Class Experience: The Rise and Reconstruction of Canadian Labour, 1800-1980. Toronto: Butterworth and Company, 1983, pp. 141-157; G.S. Kealey, “The Structures of Canadian Working-Class History,” Lectures in Canadian Working-Class History. Toronto: Committee on Canadian Labour History and New Hogtown Press, 1985, pp. 28-31, edited by W.J.C. Cherwinski and G.S. Kealey; Craig Heron, “The Crisis of the Craftsman: Hamilton’s Metal Workers in the Early Twentieth Century.” Labour/Le Travailleur 6 (Autumn 1980); Bryan D. Palmer, A Culture in Conflict: Skilled Workers and Industrial Capitalism in Hamilton, Ontario, 1860-1914. Montreal: McGill-Queen’s University Press, 1979, especially chapter 7. For Canadian immigration policy, see Donald Avery, “Dangerous Foreigners”: European Immigrant Workers and Labour Radicalism in Canada, 1896-1932. Toronto: McClelland and Stewart, 1980. For more on skilled and unskilled labour, see Ian McKay, “Class Struggle and Merchant Capital: Craftsmen and Labourers on the Halifax Waterfront 1850-1902,” and Craig Heron, “Hamilton Steelworkers and the Rise of Mass Production,” both in The Character of Class Struggle: Essays in Canadian Working-Class History, 1850-1985. Bryan D. Palmer, ed. Toronto: McClelland and Stewart, 1986. See also Palmer’s introduction. For the development of Canadian monopoly capitalism, see R.T. Naylor, The History of Canadian Business, 1867-1914. Two volumes. Toronto: James Lorimer, 1975. See especially Volume 2, chapter 14. 29. Founding Convention, p. 154. 30. Founding Convention, pp. 575-576. 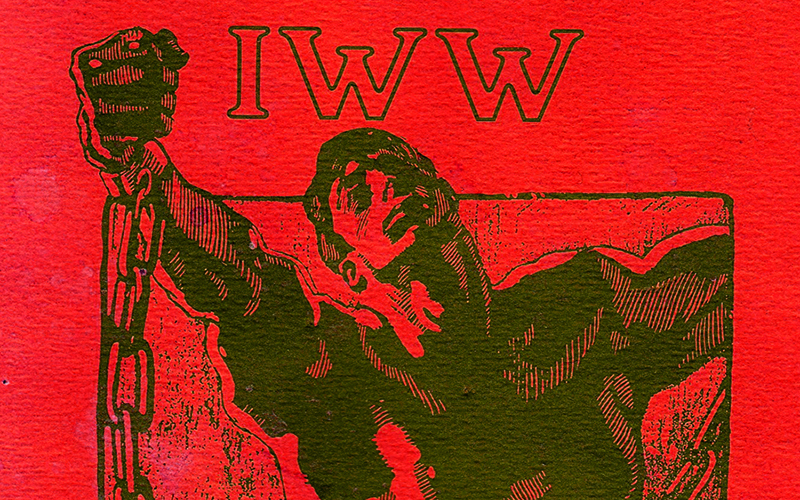 Despite the specific grievances which triggered specific strikes, the explicit syndicalism of the IWW was caused by the advent of monopoly capital, the accompanying attack on labour, and the need felt for new forms of organization and new strategies.